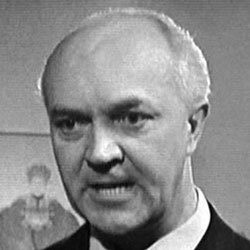 George A. Cooper, retired actor, died peacefully at Eastfield Nursing Home, Liss, on 16th November 2018, aged 93. 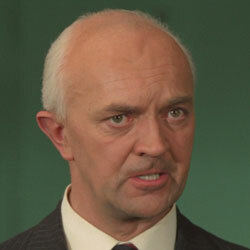 George appeared in many famous British TV series, including Dr. Who. ... and Bert Brandon in TNA episode The Tale of the Big Why (1976). 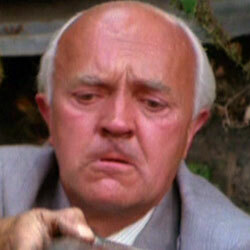 George A. Cooper was a great character actor. He was terrific in all of his Avengers appearances. He also appeared in some of my favourite sit-coms such as Steptoe and Son, Sykes, Rising damp and Some mothers do ave em. He lived to be a good age, 93, the same age as Patrick Macnee. RIP. Rich. I was reminded of him a few weeks ago when there was a thread about the oldest surviving Avengers actors and I was going to post a reply back then. He lived very near me (Ramsdean in Hampshire) and I used to see him occasionally around town, although not in the last few years. Sad to hear of his passing, he was by all accounts a kind and gentle man. R.I.P.